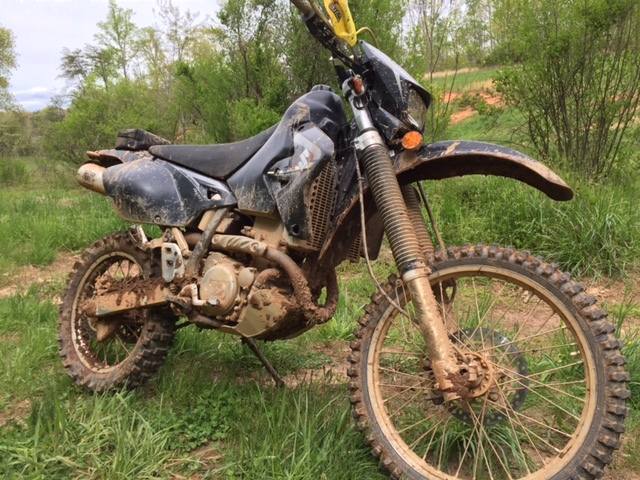 There’s no better way to gauge your level of fitness quite like riding a motorcycle off road and with that being said I’ve realized that I’m a big ol’ bowl o’ gravy. 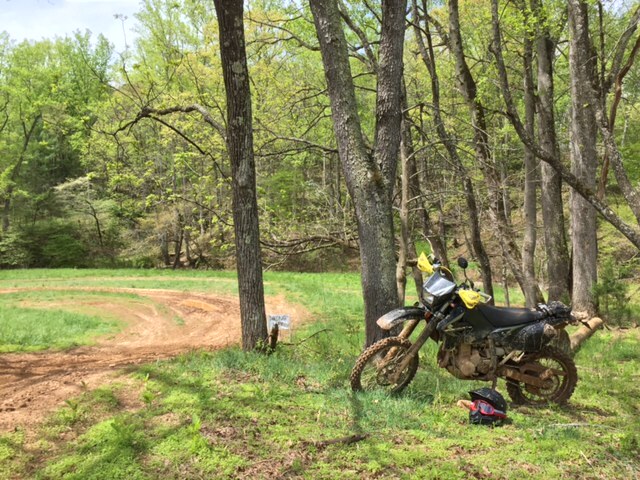 Phelps Farm is roughly 400 acres of awesome located close by and I finally got the chance to go check it out and ride for a while on my Suzuki DRZ400S. 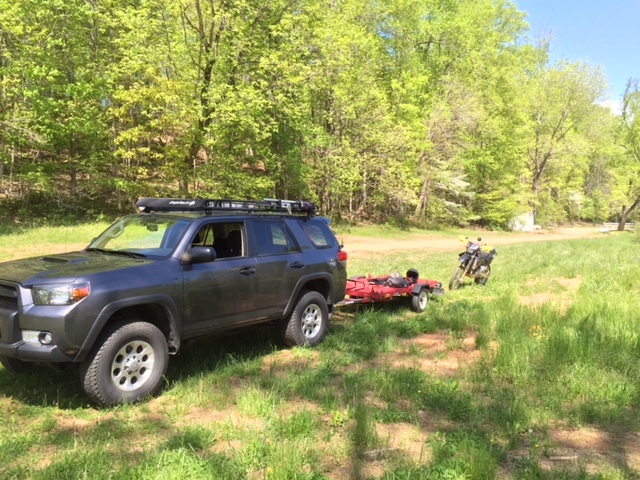 My bike is a dual sport (street legal dirt bike) and while I love her I have to admit that she is overweight and underpowered but she will get you where you want to go if you are patient enough. Riding trails on a bike is pretty new to me and I have a lot to learn before I become comfortable. When you arrive at Phelps there is a great parking area where you can camp and hang out when you’re not riding the trails. Or you can use it to attempt to catch your breath after you’ve fallen for the one hundredth time…either way. 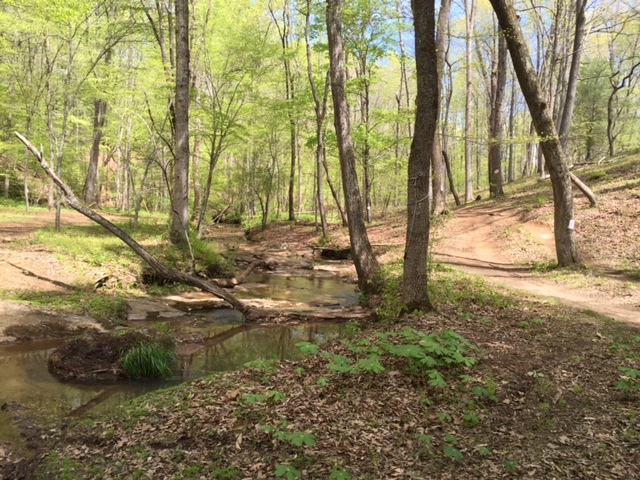 There are a ton of trails that can be pretty difficult but there is a nice and easy loop for beginners to get their bearings and gain some exposure. The motocross track is probably my favorite so far. It is a good place to develop skills and there aren’t really any trees to impale yourself upon. Take a break by the motocross track. The trail sections can be nearly impassable when it is wet but when conditions are good it is pretty fun! Tree roots and mud puddles are my greatest enemies but thank God for compression shorts and protective gear. A fun little trail section. I have located a few weak links in the DRZ’s armor and over time I will do my best to band aid the issues. An off road carburetor is on the way and after I install it I will set my sights on upgrading the suspension. I looked up the spring rates and she is set up for a 130 pound rider from the factory. Anything I can do to help her corner speed and stability will be much appreciated! She’s only happy when she’s dirty. Check out the video I shot on my GoPro below. You can see how unimpressive my riding is while seeing a tiny bit of what is located on the Farm. One not-so-hot-lap around the motocross track. One minute of a little trail section. And, of course, at the end of couple hours of riding I got tired and sloppy and fell off twice within two minutes. Enjoy!